OWNER/AGENT. Single Story, All Brick Ranch in Historic Glendale Park. 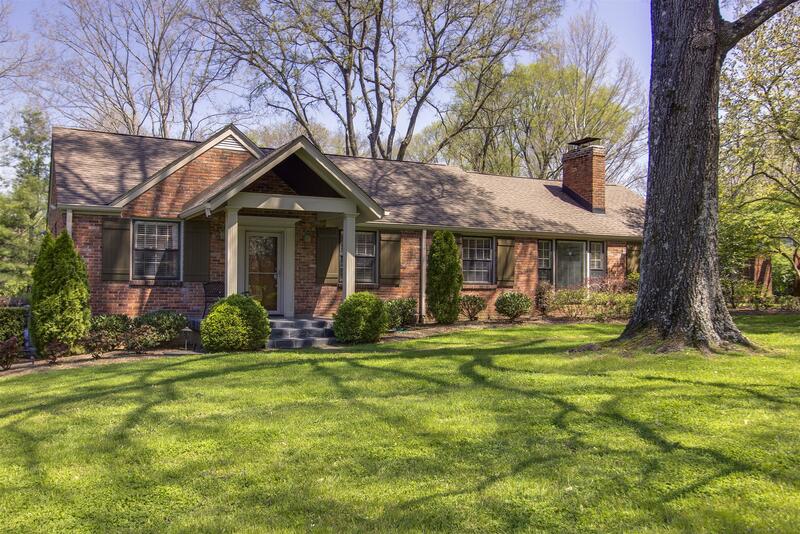 Great Location, Near 12 South, Green Hills Mall, David Lipscomb and Belmont. Updated Kitchen with Large Island/Seating for 4. Owners Suite, added in 2006 has Walk-In Closets and 11X10 Sitting Room. Half Acre Level Lot. Patio, Deck, Covered Porch.